Five servicemen of the Joint Forces Operation (JFO) have been killed and 15 wounded since March 8, when, according to an agreement reached by the subgroup on security of the Trilateral Contact Group (TCG) on resolving the situation in the east of Ukraine, a truce regime was declared in Donbas, Ukrainian representative in the TCG Yevhen Marchuk has said. "The combat losses of the personnel of the JFO during this period involve five irreplaceable combat losses, that is, killed, and sanitary loses, that is, wounded, involve 15 people. A total number comprises 20 people. 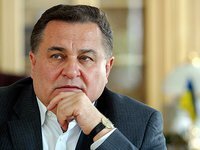 This is only from March 8," Marchuk said in Kyiv on Friday at a briefing on the current situation in Donbas.